It happened a few years ago. The day started out as a clear blue Saturday morning (much like it was today, actually). We joined Mark (a friend of ours) and a few others for a walk on the slopes of Table Mountain. We started walking the Pipe Track from Kloofnek Road, heading around to Camps Bay side. 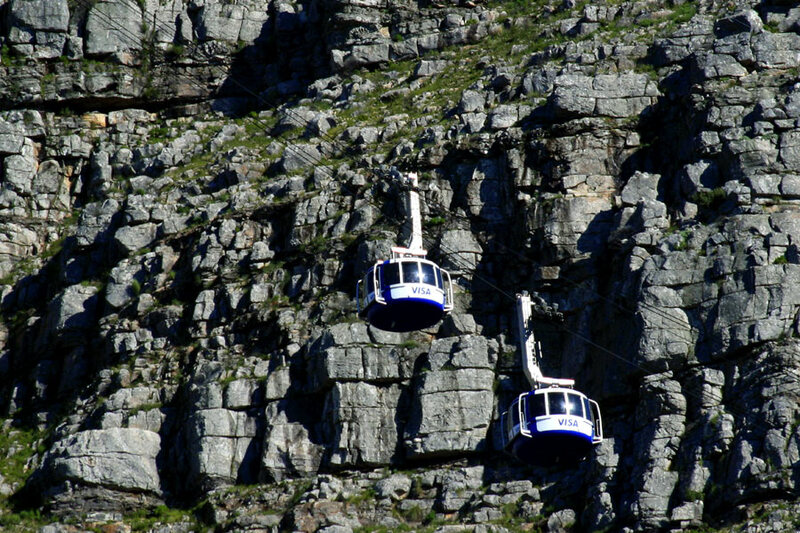 Mark developed a need to go over the mountain - ascending from Camps Bay side and descending on the Cable Station side of the mountain. Kerry-Anne and I (the more sensible ones) voiced our concern at the oncoming clouds, and the distant rumble of thunder. For reasons unknown to us now, we decided not to split from the group and instead to climb the mountain. About 100 metres from the summit we realised that the lightning (which had been moving in ever closer over the sea) was actually striking the mountain - not far from us either. We felt how the air became charged with electricity, and could smell the sulphur. At that point, everyone knew that it had probably not been a wise decision to climb the mountain. There was absolutely nowhere to take shelter; by then we were so close to the top that it was easier to just climb to the summit and descend the other side. It was raining, and the top of the mountain was covered in cloud. The cable station was closed - naturally. We lost our way a few times on top of the mountain (it's not quite as flat as it looks in photos), but eventually found the pathway again. Our hike down the mountain was rather speedier than usual, and as I recall, the weather cleared pretty quickly as we descended. Thank-you Mark for an unforgettable tale. Posted in General on Sunday, 17 June, 2007 by Paul.